When I was growing up, I was barely allowed to own any video games. 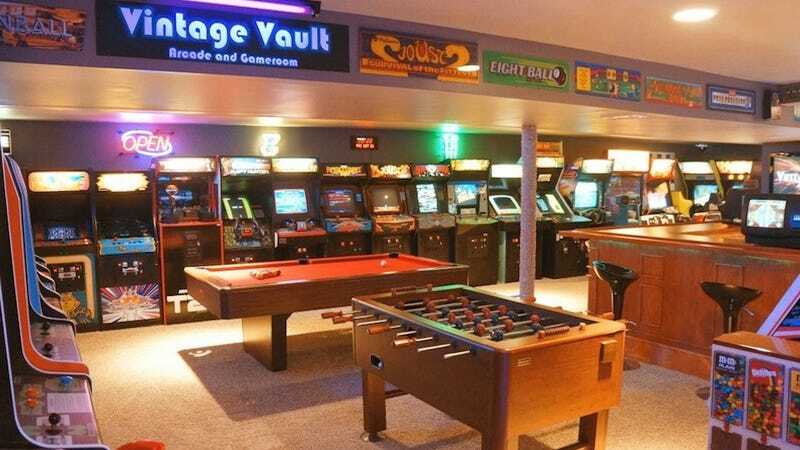 Contrast that with Redditor Mertzlufft, whose father teamed up with him to construct this bananas-looking underground compound, stuffed with more games than any single human could hope to handle. Mertzlufft, now in college, says that the project has been in the works for 5 years. It sure looks like a labor of love to me. I'm guessing that when they power this sucker up, the lights in their neighborhood dim for a bit. And can you imagine the noise? It must sound like the freeplay room at PAX. What I'm saying is, I want to go there.